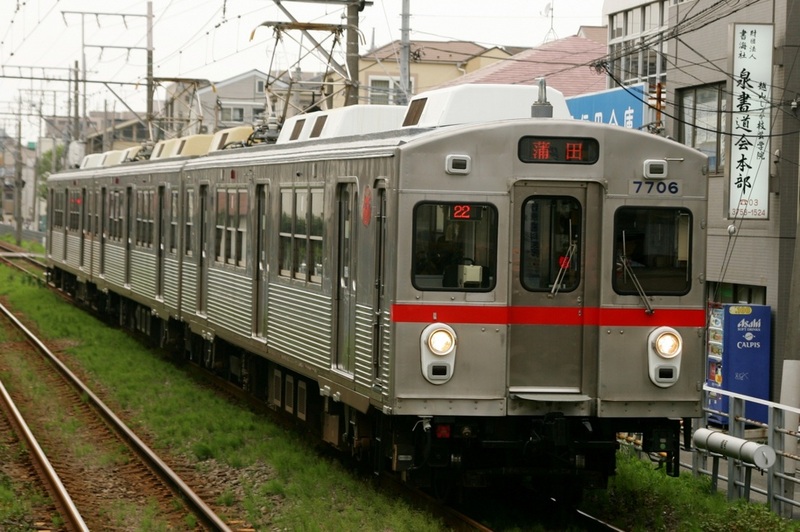 The 7000 Series was a three-door commuter type electric multiple unit developed by Tokyu as the first Japanese train to be built entirely of stainless steel. They were operated on the Tokyu Toyoko Line with direct service onto the Hibiya Line. Tokyu bought the technology to build these stainless steel cars from the American company Budd, one of the pioneers in the field, and would almost exclusively build stainless steel cars from then on. These trains were not equipped with air conditioning and were beginning to show their age by the mid 1980s. However, the stainless steel bodies were still as good as new. It was decided to update these trains by switching the bogies to more modern ones and to convert them from resistance control to inverter controlled. Air conditioning equipment was also added. The updated trains were renamed the 7700 Series. These trains were originally operated on the Mekama Line but were moved to the Tamagawa Line when the Mekama Line was split into the Meguro and Tamagawa Lines in the year 2000. Some trains were also placed on the Ikegami Line and continue to be operated there. 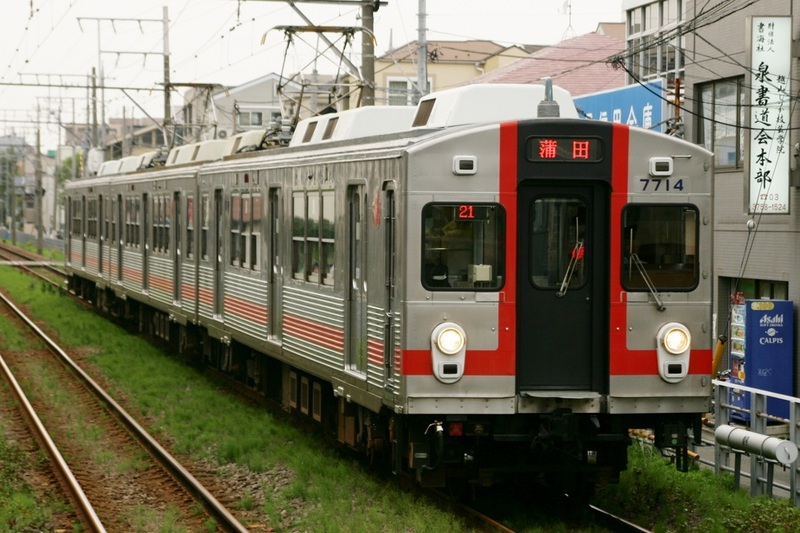 The black and red paint schemes used on some 7700 Series trains are known as "Kabuki colors" due to the resemblance to the makeup used by kabuki actors.